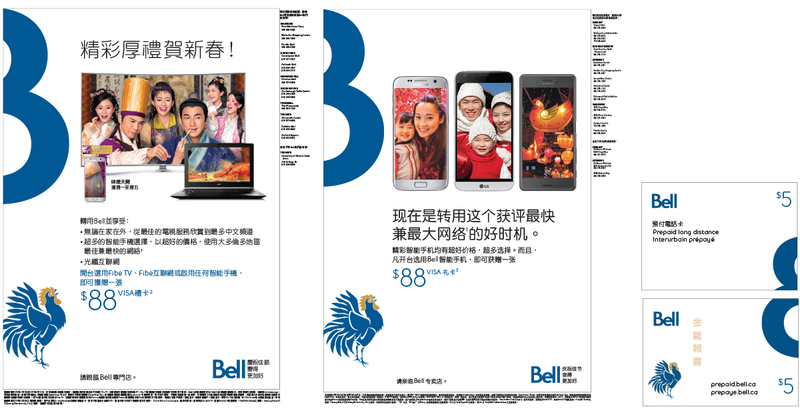 Reinforce Bell’s leadership amongst South Asian and Chinese consumers as a preferred network and continue to build brand likeability. * Chinese and South Asian consumers are traditionally heavy wireless users. Indians are the second largest wireless subscribers market, followed by the USA. * These segments are 12% more likely than other consumers to buy newly released handsets in the first two months of initial launch. * The brand needed a ‘wide network’ campaign to cover multiple touchpoints across high resonance media. * To reach these ethnic segments at a mass level, we launched integrated campaigns using TV, Radio, Print, OOH, Digital, Social Media and Experiential as the primary channels. * Experiential and In-Store support enhanced consumer engagements and conversions. * Exceeded media impressions delivery vs. planned, across all media, including high engagements with in-language messaging and relevant creative in Punjabi, Hinglish, Mandarin and Cantonese. * Double-digit growth in traffic at key pre-identified store locations, including a significant increase in new plan activations compared to the same period the previous year.